Full weekend of fun in the snow! A fun, xmas weekend snow getaway to Minakami! 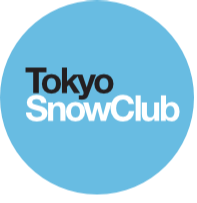 Peak powder time for the region, Xmas roast dinner & party, onsens & more! On Saturday we will choose between the spacious powder havens of Houdaigi or Tenjin resorts depending on the snow conditions. Houdaigi is the biggest resort in the Minakami area and features a wide variety of terrain including easy cruisers for beginners, a well equipped snow park and lots of powder & tree run opportunities. If the snow conditions look favorable we can also visit Tenjindaira, the highest altitude resort in the region. Tenjin is famous for its dry powder snow and is sure to please any avid skiier/boarder. We have a sumptuous xmas eve roast dinner planned for the Saturday night. After our feast there will be a Xmas party featuring DJs, dancing, giveaways and more. We have the whole lodge booked out for our group, including bar and party space. Its going to be a fun xmas weekend getaway. Cant wait!